R&D and Production. Committed to Technological Innovation to Improve and Enhance the Network Video & Audio of the People Live, and to Forge Ahead, Pioneering and Innovative Spirit of the Steady Growth in the Audio-visual Industry.
) , USB Omni-directional Microphone & PTZ Keyboard Controller, and IP Speed Dome Camera & NVRs,etc. Our company is Consisted of 120 Employees, 10 R&D Engineers, also a Rapidly Growing Sales Team of 15 Sales Representatives. 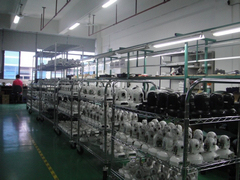 Each Month We Produce About 3000 units of Video Conference Cameras and 3500 units of IP Cameras. 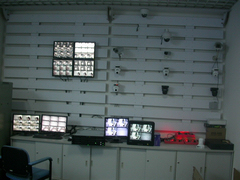 Our Current Capacity is About 4500 units of Video Conference Cameras and 6000 units of IP Cameras. All the High-tech Electronic Components are Integrated by Machine, and the Semi-products are Assembled in Our Professional Production Lines. 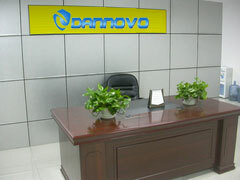 Dannovo Follows Strict Quality Control Protocol, has the Certifications of ISO9001:2008, CE, FCC, RoHS, C-tick, CSA, SAA, CB. Dannovo Electronic Co., Ltd. has Achieved About 6 Million US Dollars Annual Turnover in 2016, with the Annual Growth of 30% of Sales Revenue. DANNOVO Purposes: Technology-based, Quality First, Service First, Customer First. Work together, Progress, Innovation, and Win-win. DANNOVO Management: The Quality of Survival, to Manage for Efficiency, Integrity and Development. DANNOVO Development: Science and Technology Create the Future, Talents Make Enterprise.